When creating a website or landing page, you will most likely have a contact form somewhere on your page. This form gives anonymous prospects the ability to leave behind their contact information, so someone from your company can reach out and start the relationship. The website visitor goes into an evaluation process to determine if filling out your contact form is ‘worth it.’ This process is not as straight-forward as it seems. Based on research and significant testing, numerous best practices need to be taken into consideration when you design your website’s contact form. It seems straight-forward, but the questions you ask need to have a purpose. Most contact forms ask the prospect for their name, email, company name, and phone number. But if you are not going to call them, why do you ask for their phone number? Research shows that there is an average 5% dip in conversion rate by including a phone number field. At the very least, if you plan to add it, be sure to mark it “Optional.” A study done by Expedia revealed that making this change doubled their form conversion rate, from 42.6% to 80%. Recommendation: Ask questions that will help you during the sales process or provide you with relevant data. For example, ‘How Did You Find Us?’ or ask them to check boxes for the services in which they are interested. Make them easy to answer so that they get through your questions quickly. The time it takes to fill out the form makes a big difference, as well. 69% of consumers reported that having too many form fields deterred them from filling out a contact form. Unbounce did a study, which measured two forms against each other. The 4-field version generated 160% more form submissions and increased the conversion rate by 120%, while the quality of submissions stayed the same. On the other hand, Michael Aagaard found that reducing the number of fields resulted in a 14% drop in conversions. He stumbled across a simple, easy-to-make but important mistake: “I removed all the fields that people want to interact with and only left the crappy ones they don’t want to interact with. Kinda stupid.” By putting these fields back in and testing variations of field labels instead, Michael was able to reach a 19.21% increase in conversions. Recommendation: A/B test your forms and figure out the number of questions that are your audience’s threshold. Like Michael, consider which fields are their favorites by playing with the ‘Optional’ settings. Asking for their contact information at the right time is especially critical when you are running paid ads to your website or landing page. These people have most likely never heard of your company before, making them more skeptical of giving you their contact information. Just like pitching a sale, you need to determine when is the right time to ask someone to hand you their personal information. Event-based and e-commerce products usually benefit from having the form above the fold, but a consultant or service provider may want to first present their value propositions and testimonials, before asking the website visitor to give them their private information. Multi-step forms are another creative way for companies to split up when they ask their questions. Data reveals that users who don’t know exactly how many questions they’ll be asked can have an incredibly positive impact on the conversion rate. Recommendation: Figure out what the best practice is for your industry and how you can get people to take the action you desire. 61% of B2B marketers struggle to generate high-quality leads. 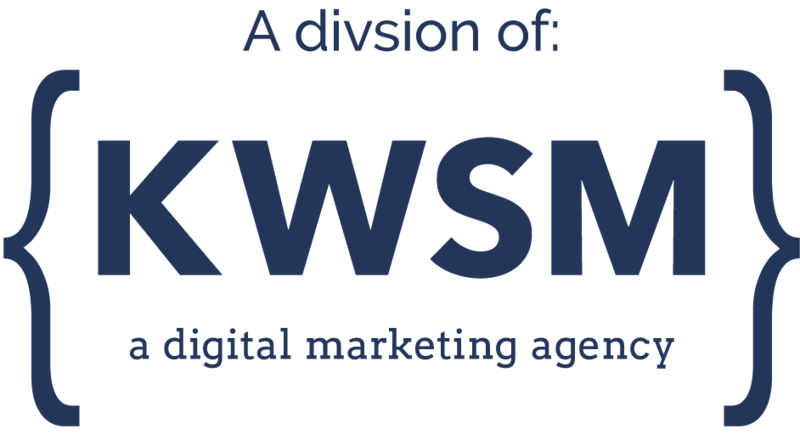 If you need help building out strategic website design and contact forms to generate quality leads, KWSM: a digital marketing agency can help. We have an outstanding web team who have extensive experience in building websites that convert.